On our 2011 holiday in the UK I also visited the Llanberis Lake Railway. For one because I had not been there before but second to try and locate a special named locomotive and get photgraphed in front of it: Thomas Bach, which happens to be the name of the son of a very good friend of mine. 1 The Llanberis Lake Railway is a narrow gauge heritage railway that runs for 4 km along the shore of Llyn Padarn in north Wales in the Snowdonia National Park. 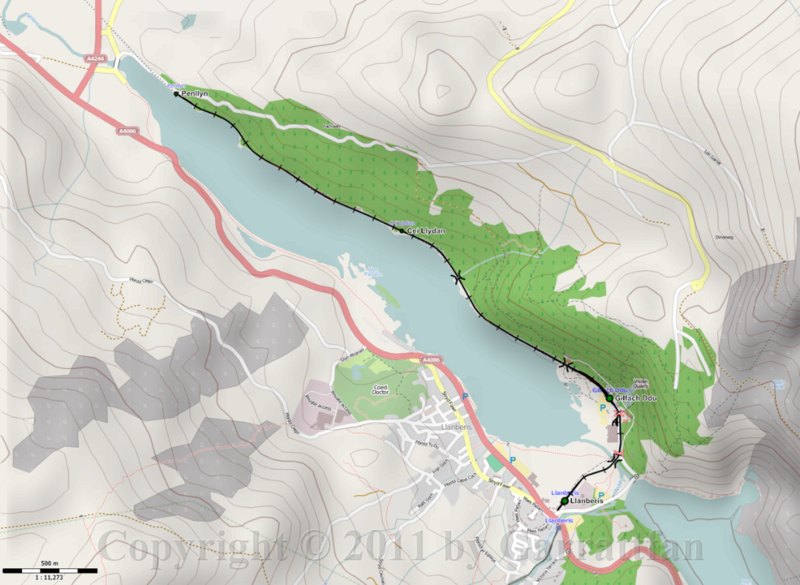 2 The starting point is the town of Llanberis at the eastern end of the lake, quite near the starting point of the Mount Snowdon Railway. The return journey takes around 45 minutes. 15 The main product of slate: roof tiles. The slate industry collapsed when the demand for slate plummeted with the advent of other building methods. 22 Living conditions were generally very poor. For the workers that is. The overseers could relish in some form of luxury.